Princess Cruises has announced the order of two new generation LNG ships. The new class ships have been ordered with the popular Italian shipbuilder Fincantieri. The two new vessels are scheduled to be delivered in late 2023 and spring 2024 and will be the largest ever for Princess. Big things are coming to Princess Cruises with the order of two large cruise ships. They will both a new class not seen in the fleet before. The ships will be dual-fuel powered mainly by Liquefied Natural Gas (LNG). They will be the first in the fleet using this new environmentally friendly fuel. Both are to be constructed at the Fincantieri Monfalcone shipyard in Italy. The new builds will be the largest ever for Princess Cruises at an impressive 175,000 gross tons and accommodate around 4,300 guests. That’s all we know so far as the cruise line will reveal more specific details including features, experiences and of course the much anticipated first renderings in the future. We do expect a totally new design from what Princess Cruises already has in the fleet and of course something new and innovative. 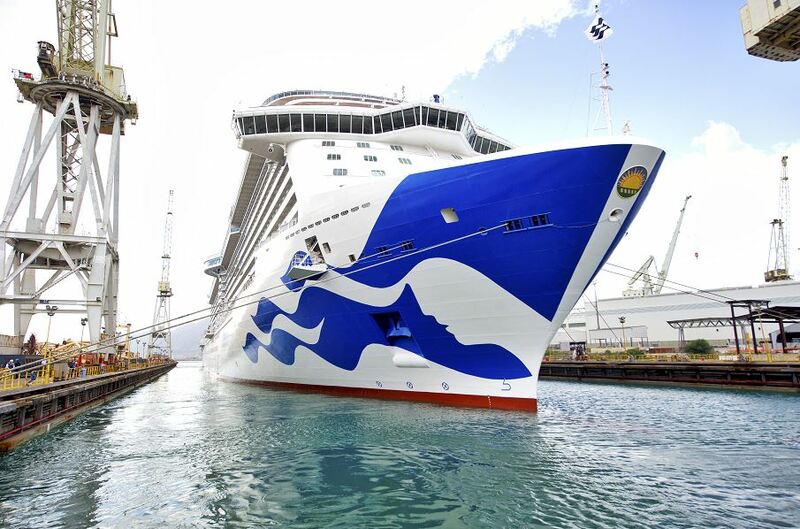 “We are proud to extend our long-established partnership with Princess Cruises, a brand we have been tied to since our return to the cruise ship building industry in 1990. After so many years, we are ready to enter, together, a new era of this industry, increasingly aimed at reducing even more of our environmental impact. With today’s announcement, this now means that Princess Cruises has a total of 5 new ships on order. In addition to the new builds mentioned today, the cruise line also has three Royal-class ships on order including Sky Princess which is already under construction and scheduled for delivery in October 2019. The other Royal-class ships will arrive in 2020 and 2022. There are a total of 20 new cruise ships on order between 2018 and 2025.